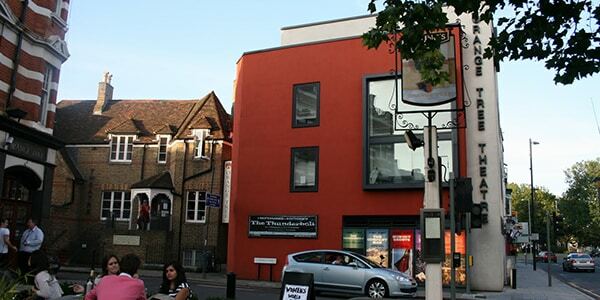 The Orange Tree Theatre was founded by Artistic Director Sam Walters in a room above the Orange Tree pub. Their productions proved extremely popular and eventually demand led the theatre to relocate to a site just across the road (a converted primary school originally built in 1867), opening on 14th February 1991. The old space (renamed the room) continued as a smaller stage until 1997. In its new 172-seat space, the theatre went from strength to strength, expanding its Community and Education programme, such as its Shakespeare for Schools tours and discount tickets for anyone under 26. The theatre also runs many young artists schemes, including an annual appointment of two trainee directors, and an invitation-only writers’ group. The Orange Tree continues to promote and perform cutting edge new writing and adaptations. They do not accept unsolicited scripts, but writers can email a synopsis for consideration.